Last week, I made a distinction between the Institution of Church and local church institutions. So today I want to talk about the Institution of Church, in other words, what Church is supposed to be and why this can actually mess with how we view and approach church. As always, we need to start with our picture of God. As Christians, we understand God to be a community. We often don’t understand why we should care about the Trinity, but it is a foundational understanding of God. Because understanding the Trinity means we see God primarily through the lens of community and relationship. God is this perfect, loving community and when God first creates people, it is a hospitable invitation to participate in the Trinitarian community. Human beings are born into and participate in a relational reality. If the world is created as a relational reality, then we need to see “sin” as a relational reality. It is not rules that get broken. It is relationships. “Fallenness” means we are no longer rightly related with God/ourselves/others/the world. Being co-creators means we are working towards restoring relationships back to the Trinitarian nature for which they were designed. Restoration and participating in the mission of God is not about imposing rules and regulations on people’s doctrine and behavior. It is about restoring relationship with people. It is about inviting people into community of healing, care, and compassion. It is about a Table. 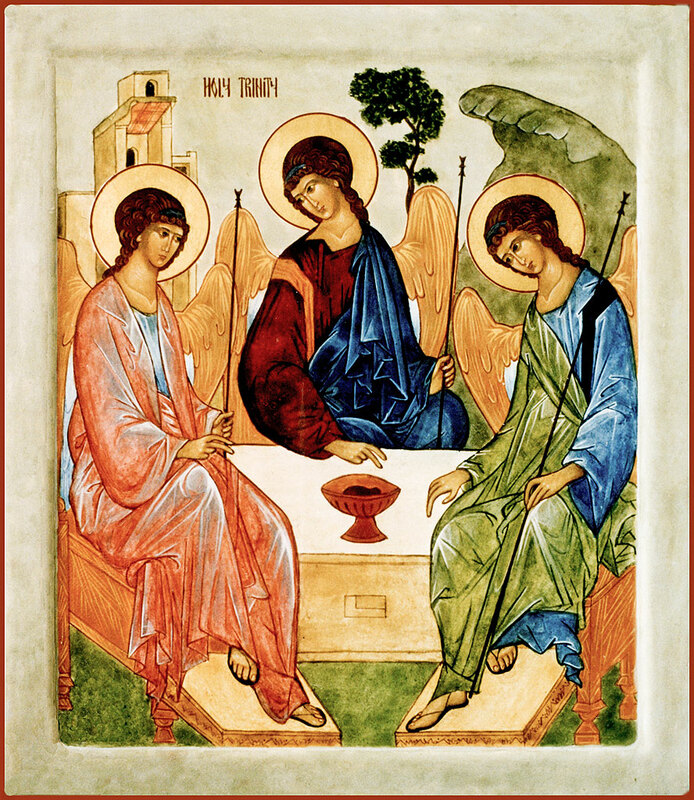 We are reminded over and over again, in the Bible and in our rituals, this table – the one that reflects the Trinitarian dance of God – is what life is all about. Human beings were created in an act of invitation to participate in the life of God. Church is a community. The function of a church is to participate in loving, self-sacrificial relationships that reflect who God is. Church should be primarily a place where people are invited to belong to the kind of community that God is. That is why we have a Table. Church exists to invite people to the Table and to participate in the dynamic life of God. Now, let me switch gears on you. The last few weeks I was in a class and we explored the metaphors and pictures the Bible has about the body of Christ and unity and oneness and all of the beautiful images we are given of this community we are invited to participate in. We also explored ideal ways for organizations to function. As we wrestled with these ideas, a tension arose. On the one hand, we affirm these beautiful images. On the other hand, we have these particular groups, churches, or organizations that do NOT look like that. And if we are honest, we doubt they ever will. So there is the picture of the perfect, ideal community, and then there is what exists on the ground. We need both. When you lose one, the other one becomes extremely disappointing. This is so important for conversations about Church. We are presented an ideal picture of community in the Scripture. But we have these ideal pictures because people were writing to real-life and really dysfunctional groups of people. The Bible was written to groups of real life people in real life situations with the goal of growing and expanding these groups and calling them to participate more fully in the Trinitarian dance. If we go into local churches and expect the communities there to look exactly like the picture of ideal community we have painted in our heads, we will be sorely disappointed. In fact, we probably will lose faith in the idea of church all together. Churches are filled with real humans and real humans screw up the Table thing all the time. But if we lose the ideal pictures, we have nothing to strive for. Our groups become about self-preservation or advancing our own agendas. The pictures of community we are given help us see what we were designed for. Pictures of true community show us what and who we were intended to be. They help us see what we should be striving for. The pictures in Scripture give us a lens of how to view community. They help correct us and advance us and grow us more and more into the reality of the Trinity. They remind us that community is not about us – but about God!! Think about a piano for a minute. It was designed for a certain purpose. And as people discovered that purpose, they began to use it in all sorts of beautiful ways. 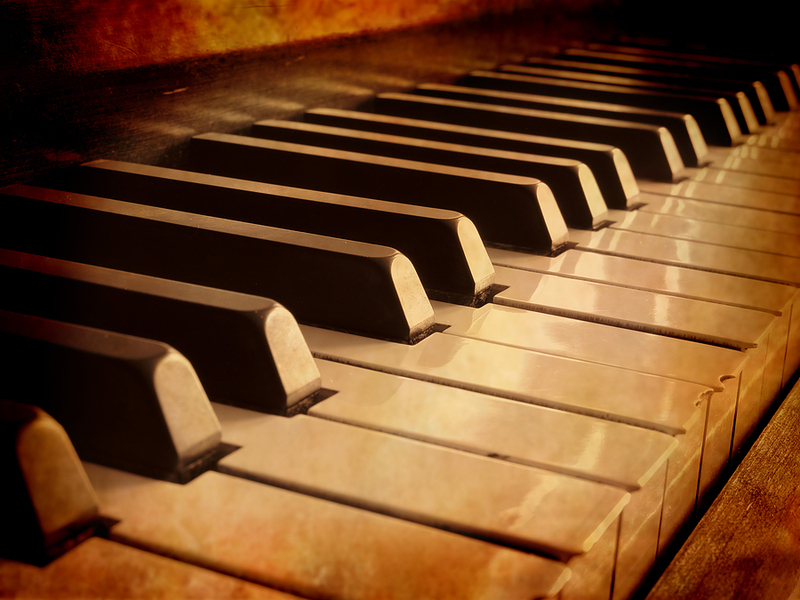 We can listen to people who use it in the ways it was intended and hear the beautiful songs and melodies that result. Now if my 6-year-old sits down and tries to play Mozart or Beethoven, it probably isn’t going to sound very good. In fact, when he gets ahold of a piano I usually have to leave the room. But he could be inspired to play like Mozart or Beethoven. He could listen to their beautiful works of art and he could begin to learn chords and how to read music. He could put the hard work in of practicing every day and failing and making all sorts of awful sounds on the piano. But the hard work and the failure end up being worth it because if he sat and listened to Beethoven – he would know what this could be. So it would be a rhythm of working and listening and working and listening. We need to keep the ideal pictures in mind as we wrestle with reality. Church was designed to be a place that welcomes and invites all people to the Table that reflects the nature of God. But it doesn’t always do that. If Church and restoration are relational realities, that means there are people involved who will screw it up. Rather than giving up, we should be people who constantly call ourselves and our communities to grow in our capacity to represent the invitation to participate in the life of God. This entry was posted in Uncategorized and tagged Church, Community, The Table, Trinity. Bookmark the permalink.